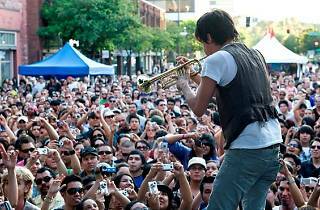 Think of Make Music as a mini FYF in Downtown Pasadena. 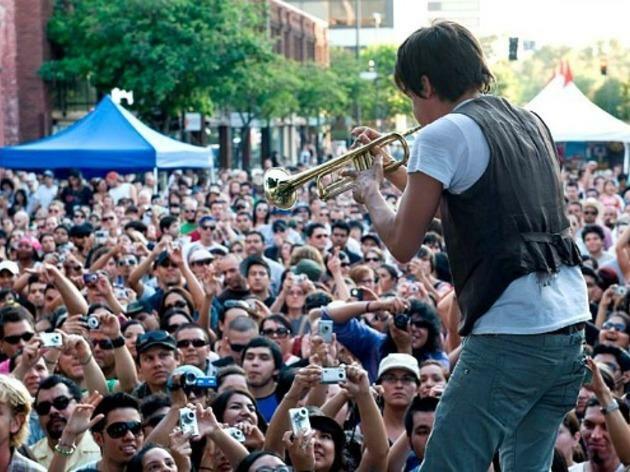 A more-than-reasonable $5 donation is requested for this otherwise free music festival, which consists of more than 150 concerts from up-and-coming indie bands, spread across multiple local venues, shops and restaurants. Check the event website to stay up to date with the lineup and schedule. Fun! We sat at the wine bar during the sunset, and walked to the different performances. FYI: Make sure you know where all the stages are( map), you can get lost and miss a music show you might have wanted to see.